'The Prophet Muhammad's story has been told thousands upon thousands of times, from generation to generation. Scholars have written volumes upon volumes of books and compendia about his amazing life story. Lecturers and professors have spoken about him for hours upon hours. Poets have sung his praises throughout the ages. Yet, rarely has this incredible story been told entirely in poetry. Noble Brother is the newest book by Dr. Hesham A. Hassaballa, co-author of The Beliefnet Guide to Islam and author of the blog, "God, Faith, and a Pen." 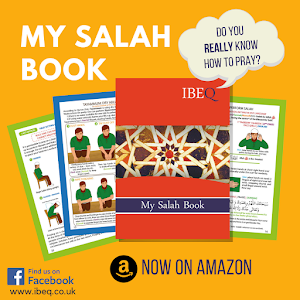 It is a unique and creative way of telling the story of the Prophet Muhammad. For the Muslim, Noble Brother offers a completely different approach to this essential story of Islamic sacred history. For the non-Muslim, this book offers a light, engaging and non-intimidating look into a religious figure who has been the subject of both intrigue and mystery in the West. Noble Brother makes learning about the Prophet Muhammad much more interesting than a traditional historical account. Noble Brother divides the story of the Last Prophet into twenty-eight poems of various lengths, each discussing important events in the life and ministry of the Prophet Muhammad. Dr. Hassaballa also includes a bonus poem about the Prophet at the end of the book. 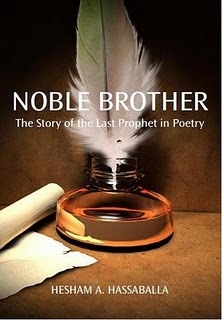 In addition, Noble Brother has an Appendix with the historical background surrounding each poem for those readers who are not intimately familiar with the Prophet Muhammad's story. "All Muslims love the Prophet Muhammad (peace be upon him) with all their hearts. Some of them, however, have done truly horrible things in his name, as the response to the Danish cartoons has shown," said Dr. Hassaballa. 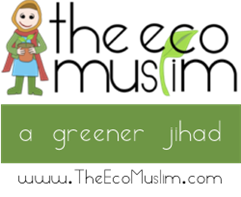 "Noble Brother is my way of showing how the love for the Prophet (pbuh) can do good in this world."